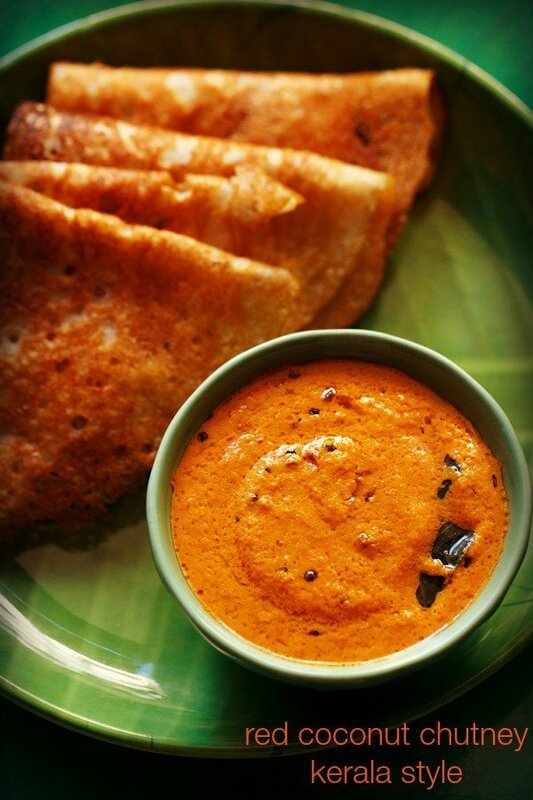 nariyal ki chutney recipe with step by step photos – there are many variations of nariyal chutney (coconut chutney) made for south indian snacks like dosa, idli, mysore bajji and medu vada. 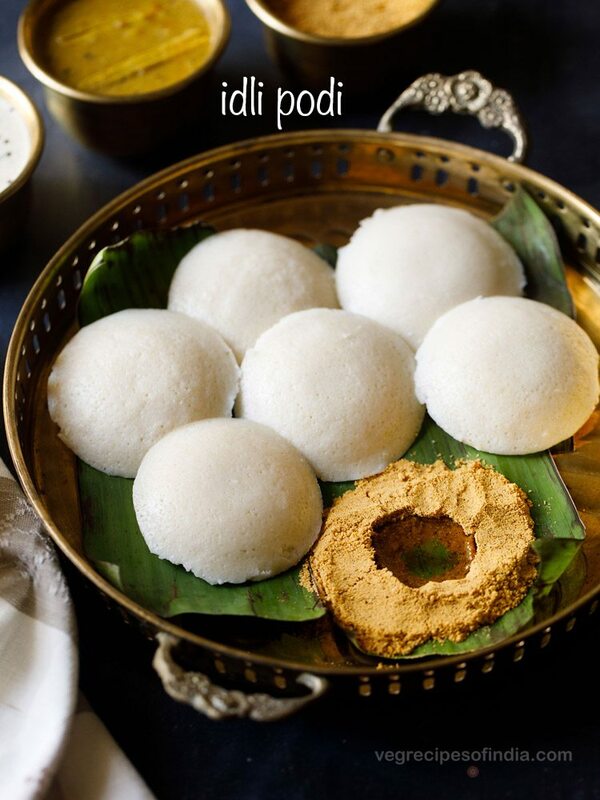 in fact in the kitchens of south india, you will get the best coconut chutneys. 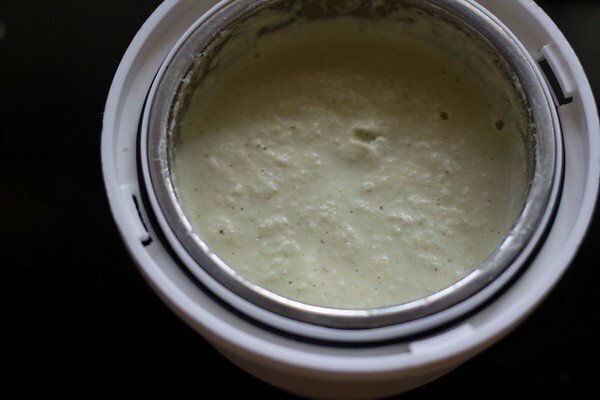 this coconut chutney is simple and makes use of ingredients which are easily available in your kitchen. 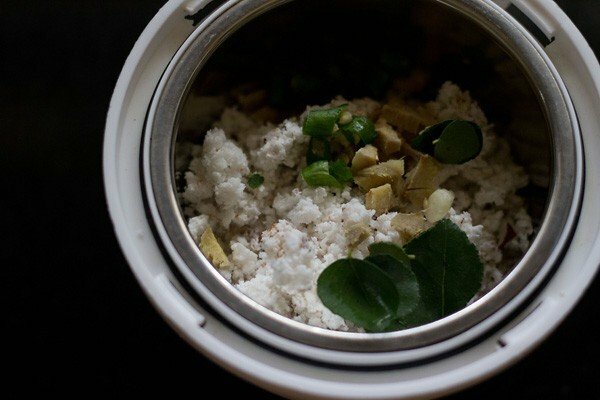 if you do not have curry leaves, its alright. 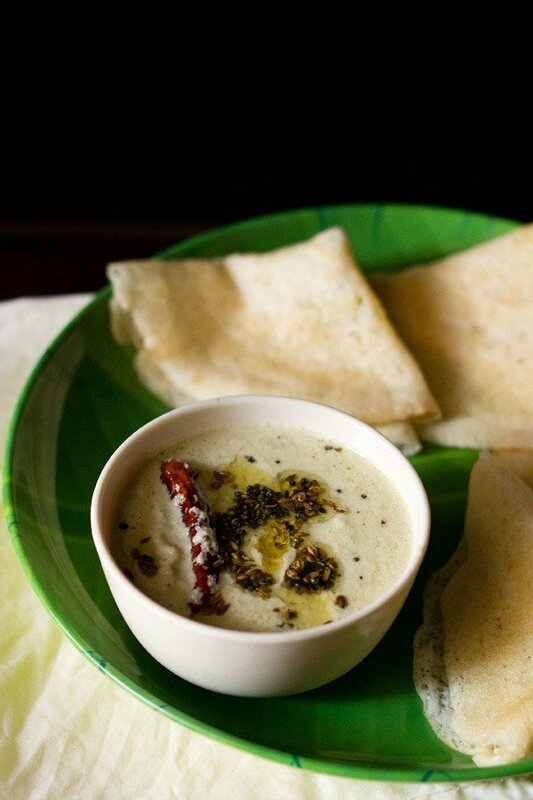 the coconut chutney won’t have the flavor and aroma of curry leaves, but nevertheless it will taste good. fresh coconut is easily perishable in a warm or hot climate. 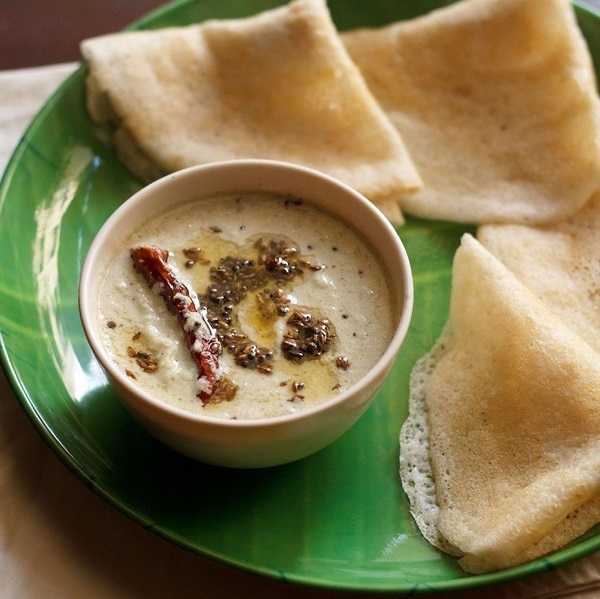 if you stay in a country like india, its better to consume the coconut chutney soon. if you have to keep it for a day, then keep it covered in the freezer. i have made this nariyal chutney both with fresh coconut as well as with desiccated coconut. both ways the chutney tastes good. if using desiccated coconut, then use warm water while grinding. 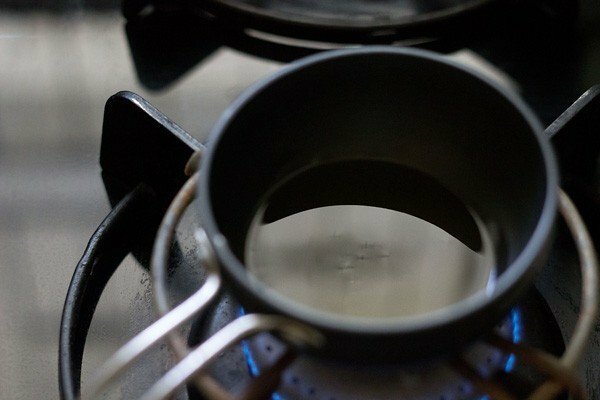 if you are using fresh coconut then don’t use warm water. 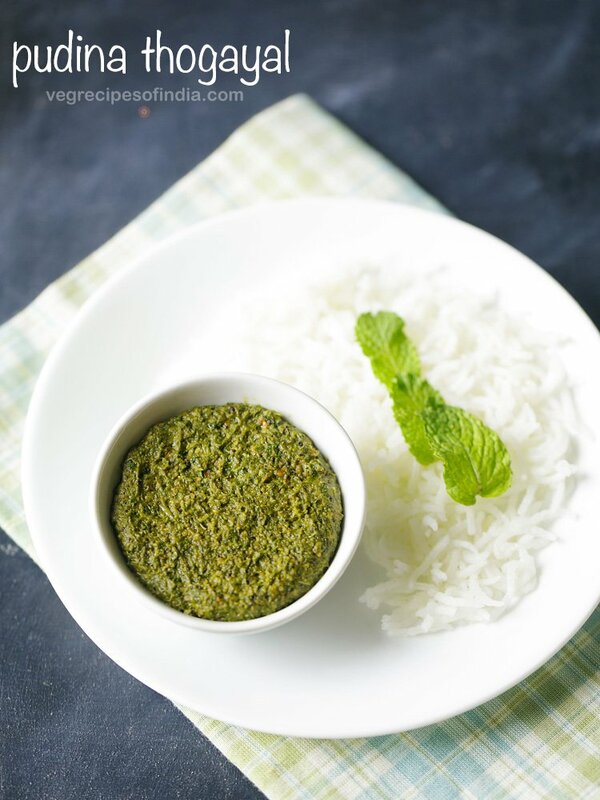 mint chutney for tandoori recipes. 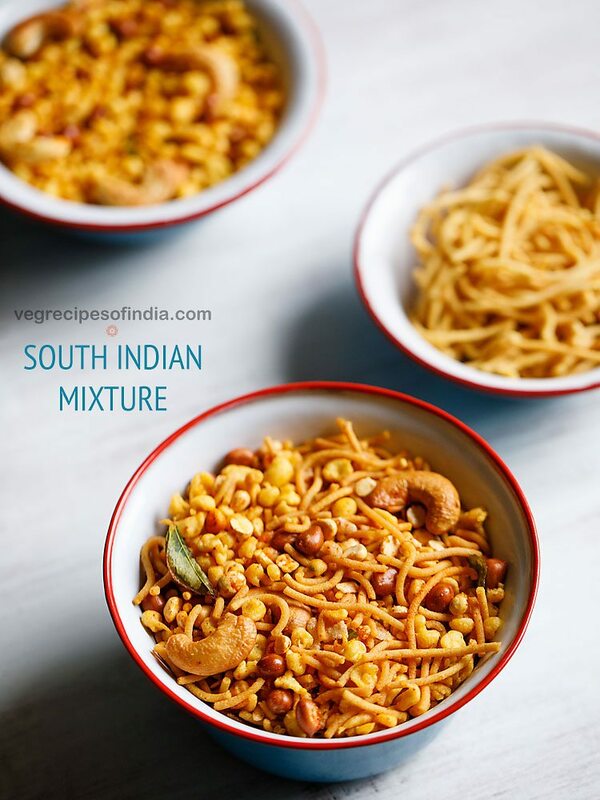 in a chutney grinder jar, take 1 cup grated coconut (you can also add 3/4 cup grated coconut + 1/4 cup roasted chana dal), 1 or 2 green chilies (chopped), 1/2 inch chopped ginger, 1 or 2 garlic (chopped) and 4 to 5 curry leaves. add 4 to 5 tbsp water and grind all the chutney ingredients very well. 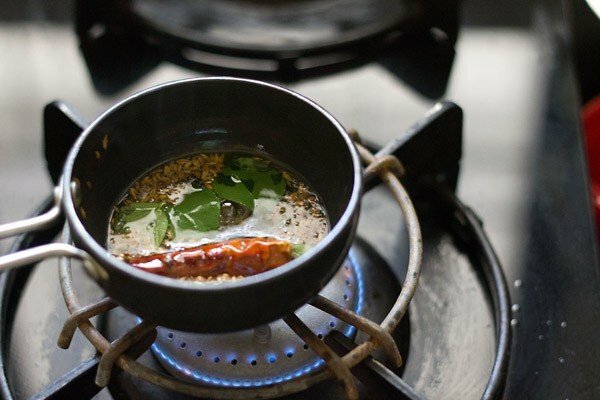 heat 1 tbsp oil in a tadka pan or small frying pan. lower the flame. first add 1/2 tsp mustard seeds and allow them to crackle. then add 1/2 tsp cumin seeds. let the cumin seeds get browned and then add 1 red dry chili, a pinch of asafoetida and 4 to 5 curry leaves. pour the tempering on the chutney. 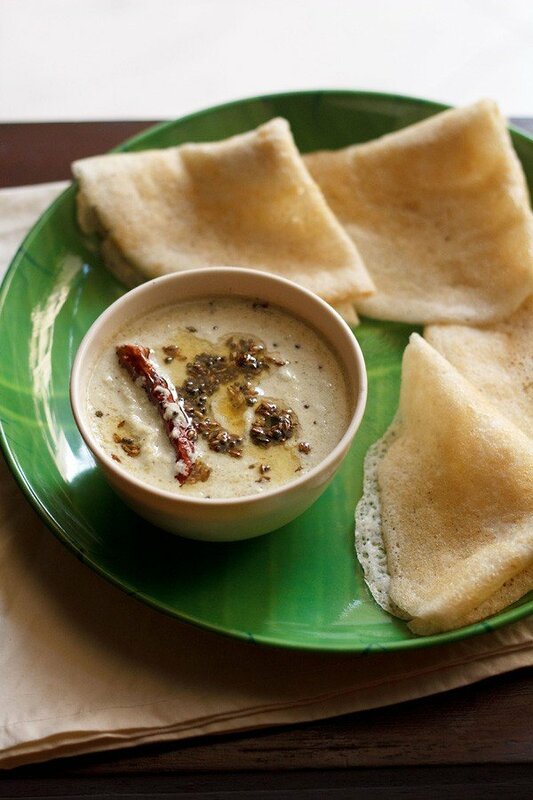 mix well and serve nariyal chutney with idli, dosa or vadai. 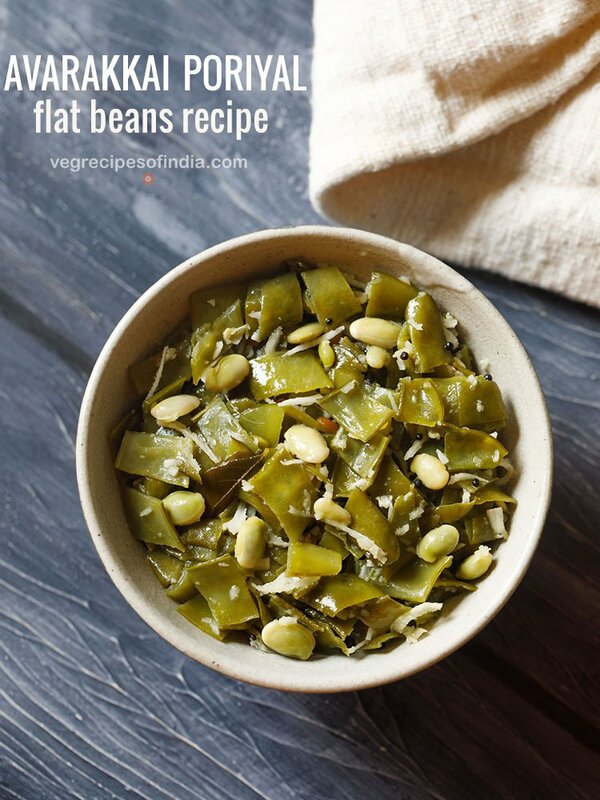 1. in a chutney grinder jar, take 1 cup grated coconut (you can also add ¾ cup grated coconut + ¼ roasted chana dal), 1 or 2 green chilies (chopped), ½ inch chopped ginger, 1 or 2 garlic (chopped) and 4 to 5 curry leaves. for a spicy chutney, you can add more green chilies. also add salt as required. 2. add 4 to 5 tbsp water and grind all the chutney ingredients very well. 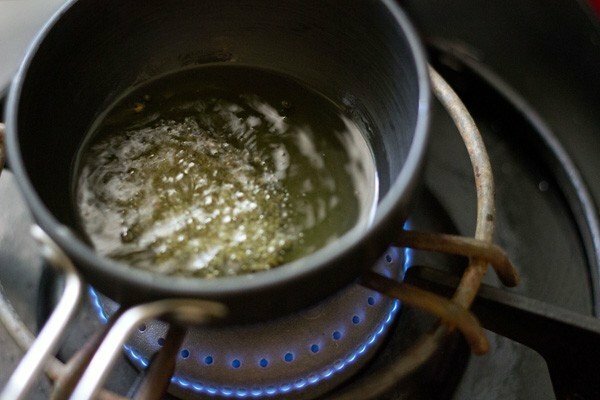 3. heat 1 tbsp oil in a tadka pan or small frying pan. lower the flame. 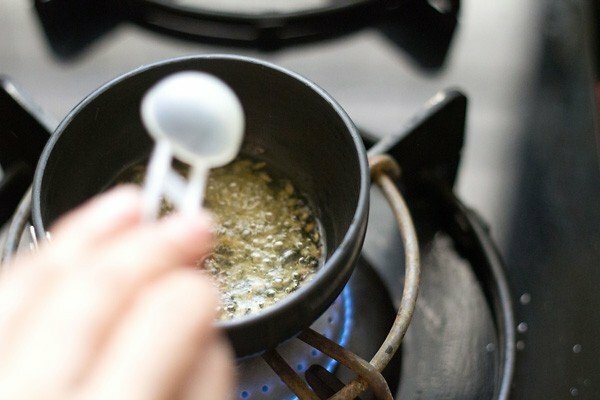 4. first add ½ tsp mustard seeds and allow them to crackle. 5. then add ½ tsp cumin seeds. 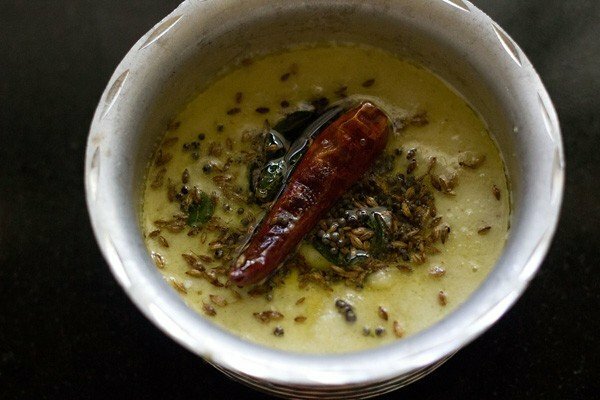 6. let the cumin seeds get browned and then add 1 red dry chili, a pinch of asafoetida and 4 to 5 curry leaves. stir and fry till the red chilies change color and the curry leaves become crisp. don’t burn the spices. 7. pour all the tempering ingredients, including the oil on the chutney. 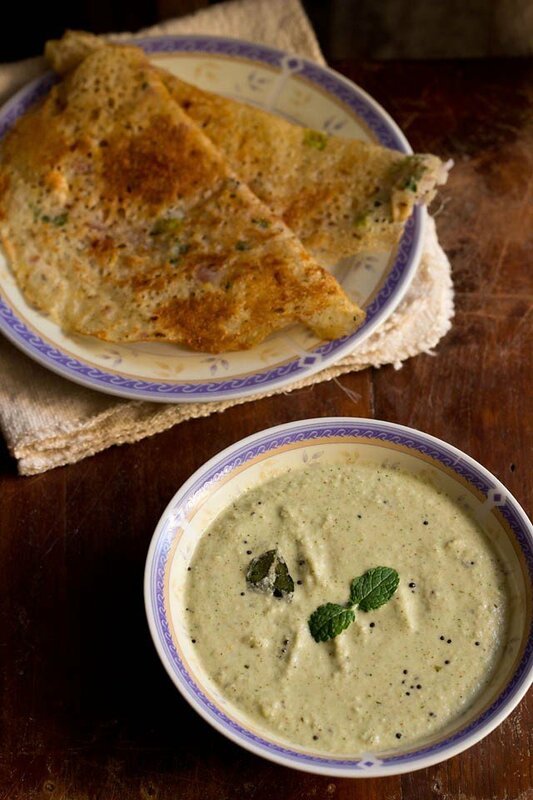 8. mix well and serve nariyal chutney with rava idli or rava dosa or punugulu or vadai or onion uttapam. Awesome thank you so much for sharing this wonderful recipe!!! I am blown away literally by the taste. Welcome Jules. Glad to know that you liked nariyal chutney recipe. Welcome Tanusha. Glad to know this. Easy to understand. Thank You. I’m a bachelor, started cooking. These recipes are very helpful and came out well. Thank u dassana. welcome anoop. good to know this.